Home defense is a sensitive topic these days. Should you trust your locks and deadbolts to keep intruders out or should you add an extra layer of defense with a rifle or other gun? It’s a question many grapple with and everyone makes a decision on (and yes, indecision is a decision). You want to keep your family safe. You want to protect your home. An AR-15 can help you get the job done. 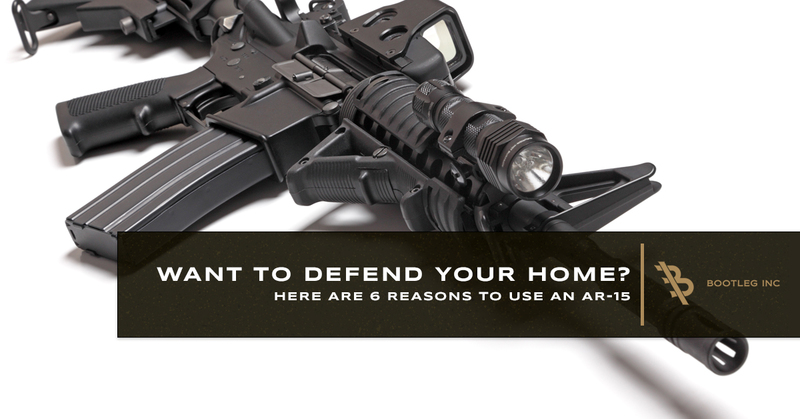 In this post, we’re not going to try and convince you on why you should own an AR-15 for home defense, but we will share with you the top six reasons an AR-15 rifle is the best choice for home defense. Our mission is not to convince you of which decision to make. We’re simply here to offer some facts on why the AR-15 and its accessories are the best choice for an additional layer of home defense. When you hold an AR-15, stripped down, and without ammo, it’s about six pounds. Add the ammo, and the weight increases only a fraction of the overall weight. The weight of a home defense rifle or gun is a huge factor. How you are able to move through your home is dependent on how you handle your rifle. Being able to keep a rifle at low ready is a huge advantage when checking your home for the intruder who just potentially smashed your window glass in on the first floor. The weight of your rifle does put strain on your muscles, and utilizing a light rifle takes less work to keep your rifle ready for use. Finally, the lightweight AR-15 allows for almost any family member the ability to handle it for at least a short period of time. Granted, you will want those assigned to use the rifle trained in safety, tactics, and shooting, but the lightweight nature of the rifle makes it usable by more people in your home. The AR-15 is lightweight because it’s compact. The ability to work around corners with a compact, smaller rifle is a huge benefit in home defense. The average American home has tight hallways and sharp corners that allow for little-to-no line-of-sight. This means that a longer barrel will work against you, even if it contributes to more power upon firing. The AR-15 used with a 16-inch barrel makes for a great home defense rifle. In most cases, the AR is adjustable in length so that you can add or subtract barrel or stock accessories to get the perfect fit for your needs. Recoil affects two things: accuracy and endurance. How often do you spend shooting your shotgun at the range? Not for long. The recoil is intense, and it takes a lot of work to fire the gun. The AR-15, however, has very little recoil, which means your range work can last longer with less fatigue afterward. The same concept can be taken into consideration for home defense. The low recoil, lightweight, compact rifle allows for less work to accomplish your mission of securing your home. Furthermore, the low-recoil allows for quick follow-up shots in the event the first shot did not hit the mark or it wasn’t enough to deter a criminal or wild animal. Whether you need to shoot at 300-plus yards or at contact, the AR-15 delivers. Granted, not many home defense situations require longer shooting, but it’s not a bad ability to have in your back pocket. The AR-15 is also versatile in how it can be customized. The modularity of the rifle is unmatched in the market. Your home location and region is not a factor for choosing between two different rifles. You can buy an AR-15 can customize it to fit your needs. In full disclosure, the AR-15 isn’t as powerful as the media has made it out to be. However, it will get the job done in defending your home. The AR-15 is accurate. An amateur shooter can find great success at the range or in competition utilizing the AR-15 with little effort. The same goes for home defense. If you want something that’s near point-and-shoot in certain desperate situations, the AR-15 is the rifle for you. The best AR accessories for you and your home defense needs are versatile, as well, so that you can improve accuracy and reduce recoil even more. Low-stress days at the range make it seem like firing a rifle is easy. The contrary is true. A rifle is a tool that needs to be practiced within a variety of situations and occurrences to truly master the use of it. People do miss their shot in gun-fights, and it’s primarily due to their inability to manage stress. High-stress situations require more of you to defend your home. When you wake from sleep due to broken glass or a loud crash, you do not have time to stuff your pajamas with extra ammunition or grab shells to carry around while you go investigate the noise. The AR-15 allows for more ammo to be carried with less hassle. In most cases, 10 rounds will do for home defense — and that’s in the majority of situations. Remember, no one has griped about having extra ammunition left over. It’s always better to have more at the ready than to be in a high-stress situation and reloading your shotgun one shell at a time. When you’re choosing which gun or rifle to purchase for home defense, keep in mind how you will effectively protect your home. The AR-15 is a great choice for the reason listed above. And don’t forget to shop some of the best AR accessories on the market from Bootleg! 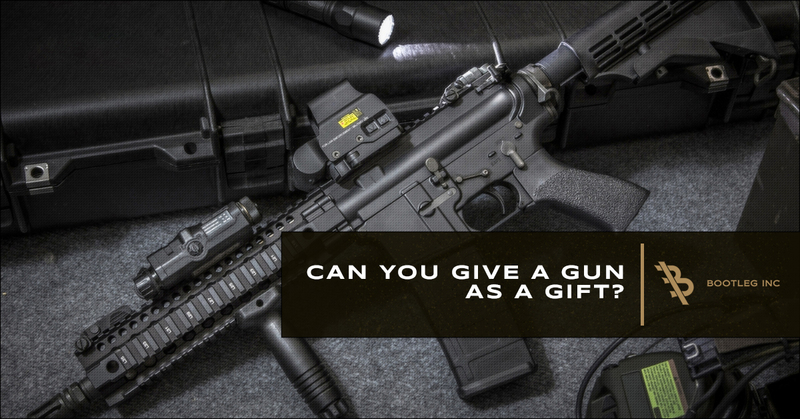 Can You Give a Gun as a Gift? 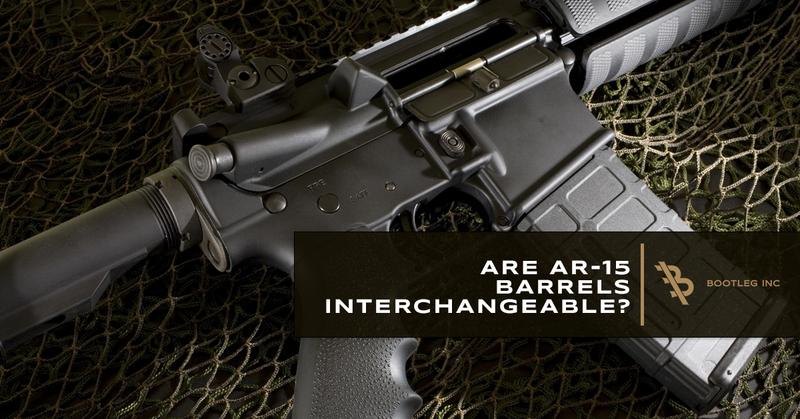 Are AR 15 Barrels Interchangeable? 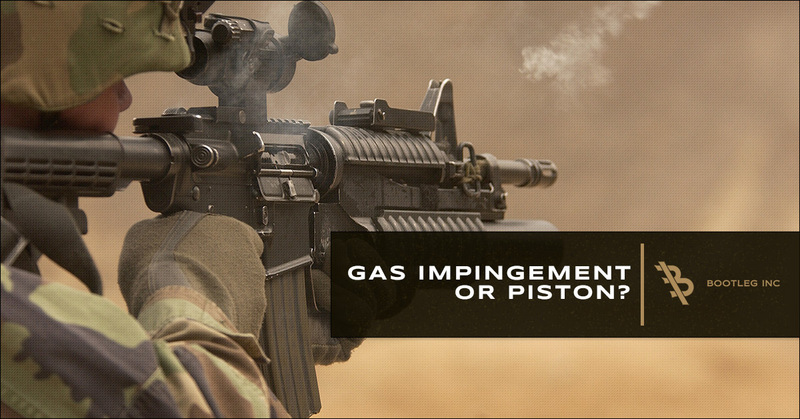 AR 15s: Gas Impingement or Piston?